Lal Kitab is a mystery in itself. It is a book on Astropalmistry written in ancient Urdu language and the authorship of it is unknown. 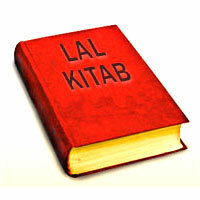 It is believed that remedies provided by Lal Kitab are never wrong. That is why it is termed as “The Wonder Book of Astrology.” Lal Kitab has announced unique remedial measures to solve chronic and critical human problems in day to day life. These remedies are cheap and within the reach of common man. Lal Kitab has also explained the science of palmistry in such a beautiful and clear manner that each of the 42 divisions of human brain have been related to the different houses of a man’s birth chart in such a scientific manner that the sketch of the human brain reflects accurately on the lines of the palm. Lal Kitab (lal Qitab) following leads to accepting A brahamic faith renouncing of Brahman, since it is the part of "Tantra Udaya" meaning relying on Kundalini energy of own and planetary beings. This leads one to drift away from the blessings of Para Brahman making rituals havana and homams become ineffective and fruitless. Some believe that Ravana a Demon followed this practice, whose knowledge was lost for many years after his destruction. 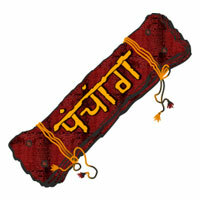 Some people believe it to be part of Arabian and Islamic culture and believe it to have Persian origins, many call it The Red Book of Persia but most acclaimed followers and researchers attribute it to be a book on branch of Jyotisha, as the book follows the planetary positions and names of Navagraha used by Vedic people to give predictions and remedies. In Lal Kitab each and every aspect is seen very seriously with respect to Vaastu, Palmistry and Astrology. Lal Kitab tells us what to do and what not to do as per our Horoscope and Planets. The same way Lal Kitab also tells us the Precautions that we have to take care when Vaastu is concerned by taking our surroundings into consideration. Lal Kitab also guides to draw the actual horoscope on the basis of the lines of the palm. The date of birth and ascendant sign can be determined by reading the lines and mounts of your palm. So, in this book astrology has been connected with reference to zodiac houses, position of planets with lines and mounts of hand. 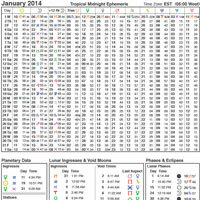 Your birth chart must tally with mounts and lines of your hand. If your Jupiter is powerful the mount of Jupiter on your hands will be prominent. Similarly, if any planet is in debilitation or affliction the mount of same planet on your hand shall be depressed or deficient. The author of Lal Kitab has fixed houses without any number of signs. He always considers Ascendant, as first house and does not say it is Aries ascendant but mentions, that it is first house, so, positions of planets in other houses are dealt like wise. Lal Kitab is similar to Parashari Astrology in several ways but Parasher’s principles have been simplified in it. In astrology of Parashar after planets if something acquires importance it is house. Importance of sign or Rashi is too less as compared to houses. A specific planet shall yield what type of results are determined by the specific house occupied by planet. This planet shall yield the results of this house only. Signs (Rashi) are used to determine the power of the planet. In Lal Kitab Vimshottari Dasa has not been taken at all. Lal Kitab has given some specific stage of our age on which a specific planet shall yield its beneficial results. For eg Jupiter at 16, Mars at 28, Mercury at 32 and Saturn at 36 years. Lal Kitab has given its own Dasa Circle also which gets completed after 35 years, therefore, the same circle is applied to our life thrice to complete 105 years. In Lal Kitab planets acquire different names like, sleeping planets, awakened planets, religious planets, impious planets, blind planets, kind planets, slow planets. These names shall indicate whether these planets yield beneficial results or not. 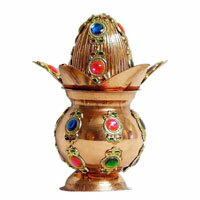 Similarly, one specific planet is highly beneficial for awakening the destiny of a specific house. In Lal Kitab yearly horoscope (Varshphal) also receives special attention but according to Lal Kitab the method of making yearly chart is very different. 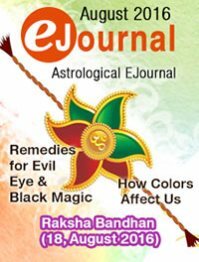 For appeasing the malefic planets of yearly chart the remedies recommended should be done within 43 days after your birth day. Lal Kitab is very popular in North India specially Punjab. In Lal Kitab the sins and debts of previous life also receive lot of importance. To get red of troubles remedies have been recommended. The popularity of Lal Kitab is because of accuracy in prediction and efficacy of remedies which are recommended not only for planets but also for human behavior. In Lal Kitab majority of remedies should be carried in day time only. Muhoorat does not receive special importance for carrying out these remedies. For each remedy you are advised to get rid of flesh eating, alcoholism, womanising, sexuality and telling lies etc. Lal Kitab is a simple and wonderful book of astrology. It doesn’t go deep into mathematics rather. 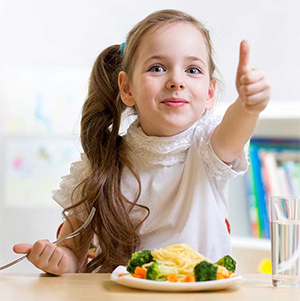 It champions and emphasizes the significance of remedies. Lal Kitab also emphasizes that if one particular house, its lord, its significator sign and planet all are afflicted in that case remedies recommended may not yield miraculous results. But, if that specific house is also under some auspicious influence in that case recommended remedies yield expected results. The remedies provided in Lal Kitab are for a particular planet found in the birth chart. Remedies of malefic planets have been provided mainly through articles, commodities and other items, assigned to each planet. Immediate relief can be obtained from the methods that have been given in Lal Kitab.